STOCKHOLM – Sweden’s foreign minister concluded three days of talks Saturday with her North Korean counterpart, saying they discussed the “opportunities and challenges for continued diplomatic efforts to reach a peaceful solution” to the Koreas’ security dispute. Minister Margot Wallstrom stopped short of saying whether North Korean Ri Yong Ho’s trip to Sweden had led to any further developments concerning a possible meeting between President Donald Trump and North Korean leader Kim Jong Un. “The main focus for the talks was the security situation on the Korean Peninsula,” Wallstrom said. The pair met Saturday at the Foreign Ministry in Stockholm as scores of reporters waited outside in sub-zero temperatures. “In addition, the humanitarian situation in North Korea was discussed, sanctions and regional cooperation and security issues for, for example, South Korea, Japan, Russia, China and the United States,” she added, without elaborating. Ri, who has not made any public comments in Sweden, also briefly met with Swedish Prime Minister Stefan Lofven on Friday. The Scandinavian country has been rumored as a possible site for the U.S.-North Korea summit, though a truce village on the South Korean side of the Demilitarized Zone between the Koreas is seen as more likely. 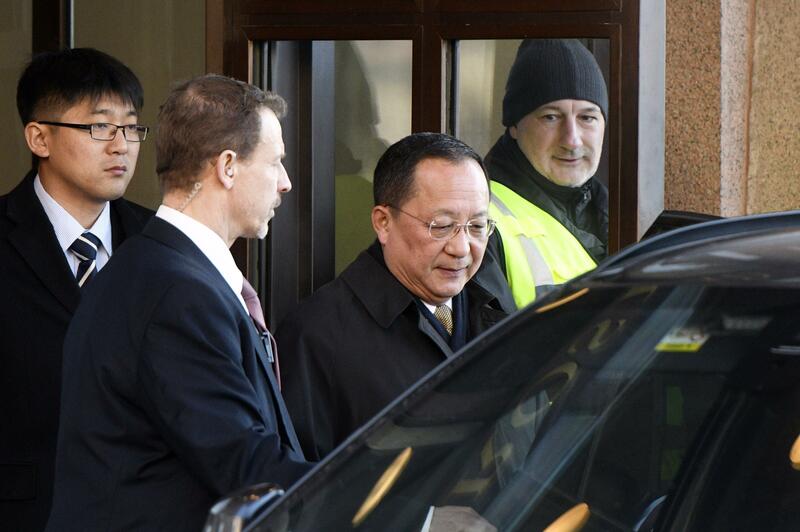 Finland’s STT news agency said North Korean representatives will be conducting negotiations tomorrow at the Japanese Embassy in Helsinki, adding no American officials would be involved in the low-level meeting. Published: March 17, 2018, 9:58 a.m.